Delacorte Press Books for Young Readers, 9780385741460, 327pp. When Maude Pichon runs away from provincial Brittany to Paris, her romantic dreams vanish as quickly as her savings. Desperate for work, she answers an unusual ad. The Durandeau Agency provides its clients with a unique service--the beauty foil. Hire a plain friend and become instantly more attractive. Monsieur Durandeau has made a fortune from wealthy socialites, and when the Countess Dubern needs a companion for her headstrong daughter, Isabelle, Maude is deemed the perfect adornment of plainness. Isabelle has no idea her new -friend- is the hired help, and Maude's very existence among the aristocracy hinges on her keeping the truth a secret. Yet the more she learns about Isabelle, the more her loyalty is tested. And the longer her deception continues, the more she has to lose. 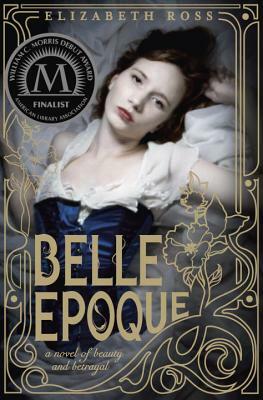 Inspired by a short story written by Emile Zola, Belle Epoque is set at the height of bohemian Paris, when the city was at the peak of decadence, men and women were at their most beautiful, and morality was at its most depraved. Elizabeth Ross studied French at the University of Glasgow in Scotland, and between semesters she worked in Paris and Brittany. She lives in Los Angeles. When she isn't writing, Elizabeth edits feature films. Visit her at elizabethrossbooks.com or follow @RossElizabeth on Twitter. "With resonant period detail, elegant narration, and a layered exploration of class and friendship, this provocative novel is rife with satisfaction." "Ross offers not one, but two strong heroines in her debut novel, both navigating the choppy waters of the Paris debutante season, albeit from different social classes. Though Maude is the chief protagonist (and narrator), Isabelle is highly engaging as a young woman determined to challenge the expectations of her gender and study science at a university. Both touching and fun, this is a story about many things—true friendship, real beauty, being caught between two worlds—and it will delight fans of historical fiction." "This is an excellent cross-genre read that many will appreciate for its themes on how young women view themselves and the world around them."